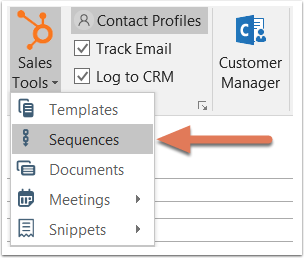 Access the HubSpot sales tools directly in your inbox when composing emails with the HubSpot Sales Outlook desktop add-in installed. 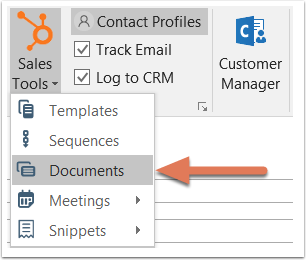 If you're using the Office 365 add-in, learn how to use the HubSpot sales tools in your inbox in this guide: Use sales tools with the HubSpot Sales Office 365 add-in. Please note: to use your meetings tool in Outlook, you must have a connected calendar. To use your sequences tool in Outlook with the desktop add-in, you must have a connected inbox. 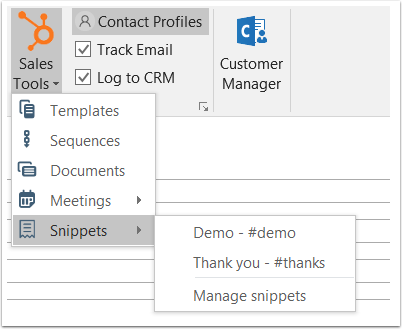 In the message ribbon, click Sales Tools > Snippets, then select a snippet. 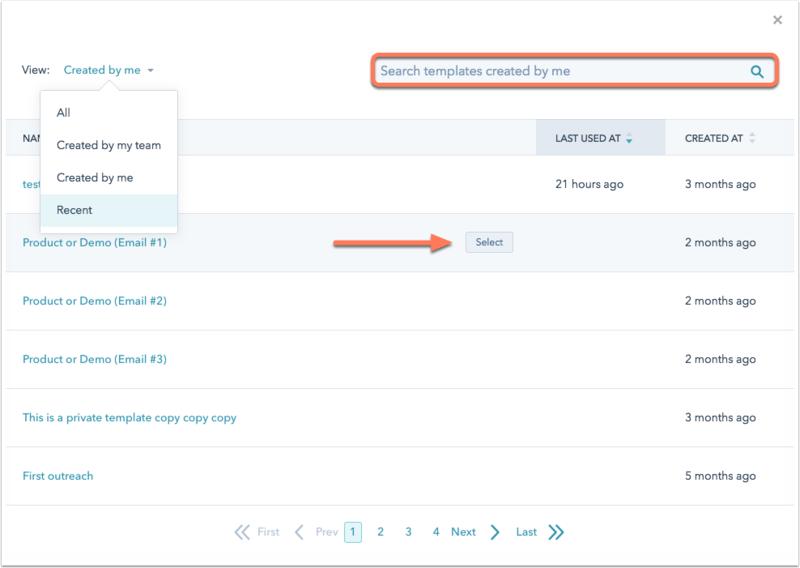 Click Manage snippets to go to your snippets dashboard in your HubSpot account. Or, right-click in the body of your email and select Snippets, then select the snippet you wish to insert. Compose a new email and add a recipient. In the message ribbon, click Sales Tools > Templates. In the message ribbon, click Sales Tools > Documents. Select the Require an email address from all other viewers checkbox if you want to collect an email address from anyone else besides the original recipient who views the document. In the message ribbon, click Sales Tools > Meetings, then select one of your meetings links. Click Manage links to go to your meetings dashboard in HubSpot. 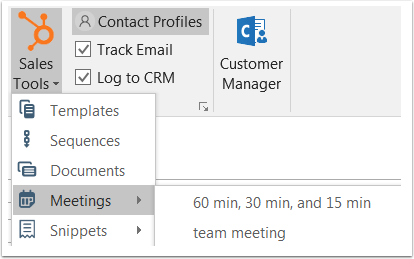 Alternatively, you can right-click in the body of your email and select Meetings, then select the meetings link you wish to insert. In the message ribbon, click Sales Tools > Sequences. In the next dialog box, edit your sequence's content and settings. Click the Start dropdown menu and select the first step of the sequence. 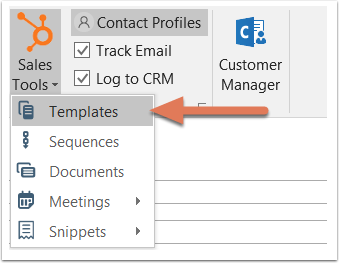 Specify the start time of the first email send, then click the Advanced settings dropdown menu to specify when each subsequent email in the sequence should be sent.